April 8, 2016 By This post may contain affiliate links. Enjoy the sweetness of cheesecake mousse paired with tart fresh lemon in these two desserts. This pretty Lemon Cake Roll and these sweet little Triple Lemon Cookie Cups make perfect springtime desserts. When I think of spring and summer desserts, lemon is at the top of the list. Lemon is light and refreshing and perfect for this time of year. 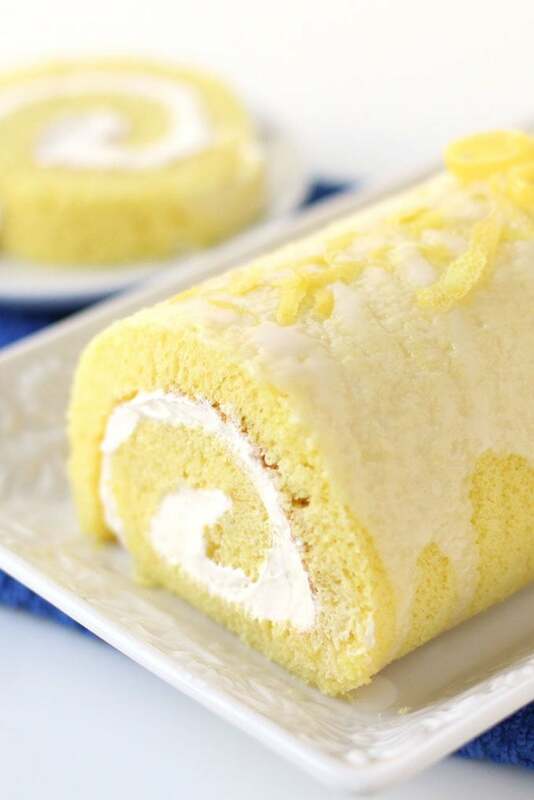 With it’s pretty yellow color, lemon not only adds a lovely tart flavor to desserts, but it makes them colorful and fun, like this Lemon Cake Roll. I’ve really enjoyed making several for Tablespoon.com recently and this one is one of my favorites. All the others have been made with plain white or yellow cake, whereas this one starts with a lemon cake. I just love the contrast of the tart lemon cake with the rich and cream cheesecake fluff filling. To punch up the lemon flavor of this cake, I added a glaze made with freshly squeezed lemon juice and topped it off with some lemon zest. 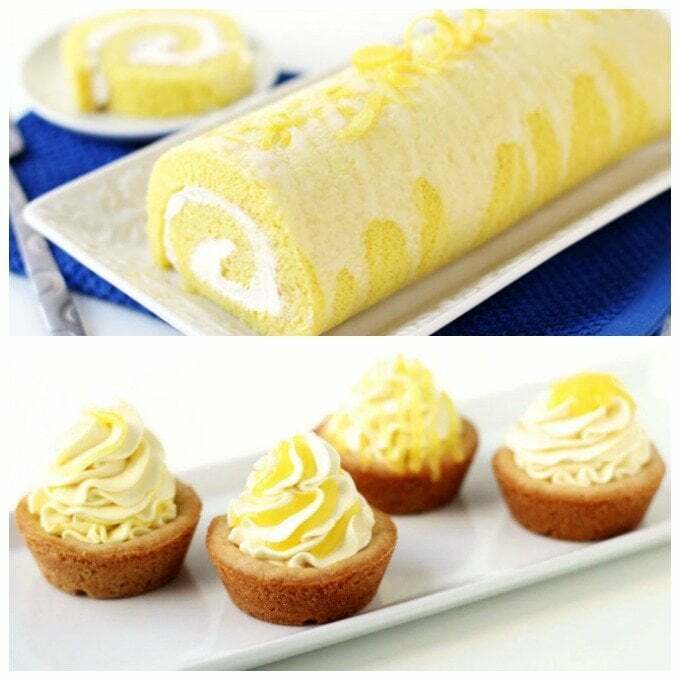 You can find the recipe and step-by-step tutorial to recreate a Lemon Cake Roll at home, over at Tablespoon.com. 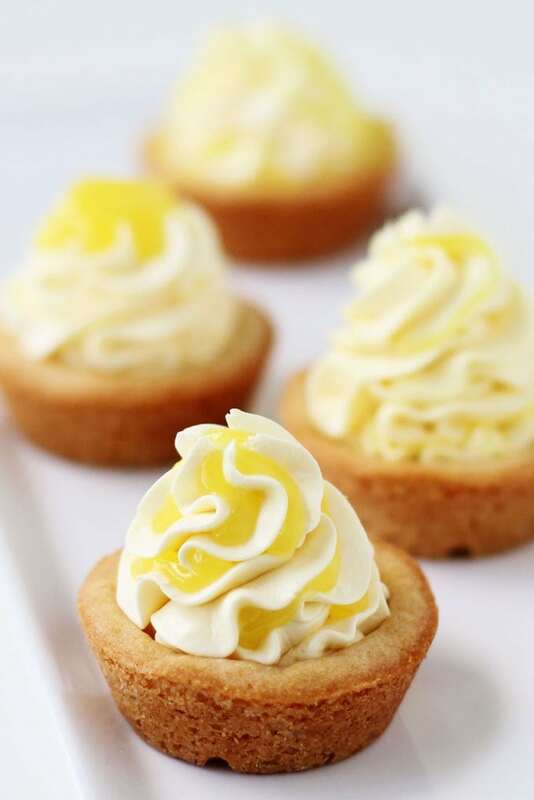 If you really like a lemony dessert, you are going to love these Triple Lemon Cookie Cups. Not only is the cookie flavored with lemon juice and lemon zest, but the cheesecake mousse is too. To top it all off each dessert is drizzled with lemon curd. 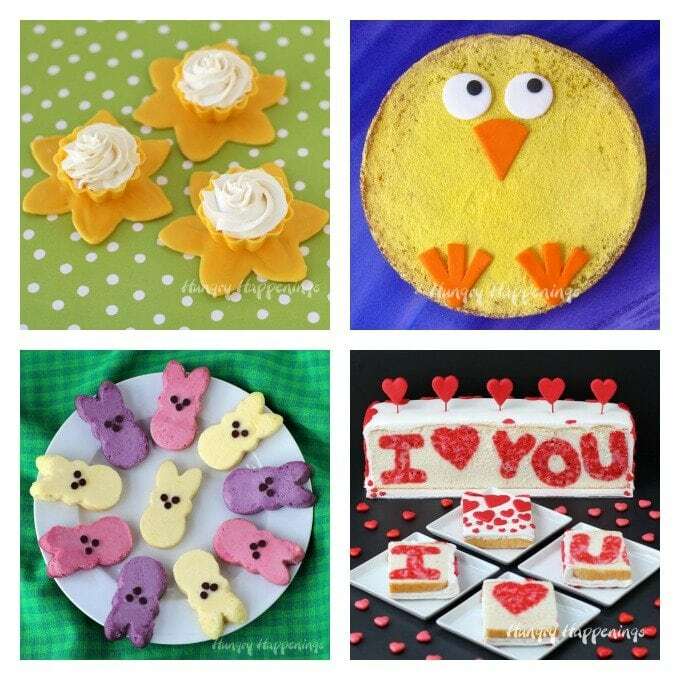 These cupcake sized desserts are really easy to make. You can check out the recipe and tutorial at Tablespoon.com. Thanks, adding the lemon juice and zest to the crust really boosted the lemon flavor. I love lemon and I’m sure these two desserts will not disappoint! That cake roll is absolutely stunning! Thanks so much. My husband is a big lemon fan and just loved these desserts. He said he’d be happy to have them every day.